One platform for all your vehicles and equipment. The Town of Gilbert improved routing and missed residential collections, increasing its operating efficiency. The City of Sacramento improved fuel use by reducing idle, speeding and out-of-route miles. 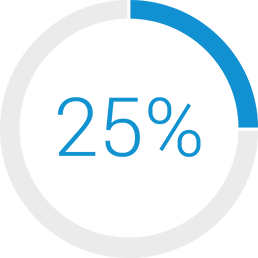 Discover how Zonar can improve state and local fleets. 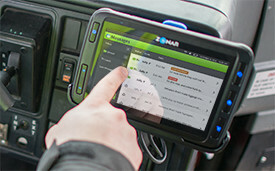 Your fleet can do more in less time with Zonar’s electronically logged time and attendance, advanced navigation, and instant alerting. 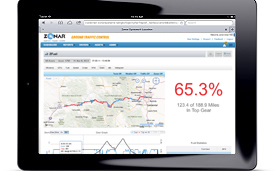 Managers can utilize superior GPS and operational data to proactively manage vehicles, develop routes for optimum performance, and instantly communicate updates to drivers. Your staff relies on a patchwork of systems to track your diverse municipal assets. Zonar helps streamline your processes with one open platform, including electronic vehicle inspection and remote diagnostics. You can improve CSA compliance, ensure proper equipment operation, locate equipment, and increase vehicle uptime with one login. 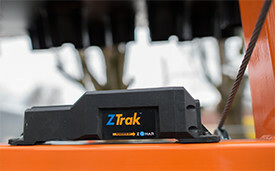 Zonar’s fleet tracking platform captures extensive vehicle performance data, including fuel shot through the injectors, true idle time, and PTO activity. Cut excessive fuel consumption and spend fewer dollars on taxes by wielding the latest technology to identify the routes, vehicles, and driving behaviors that are most and least fuel-efficient. 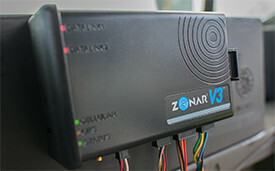 Zonar’s Electronic Verified Inspection Report (EVIR) provides verified results and allows drivers to instantly report maintenance issues during pre- and post-trip inspections. 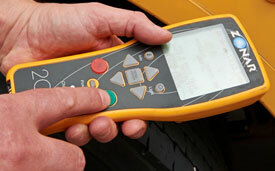 In conjunction with automated fault code alerts, you can streamline maintenance activities to keep your vehicles and equipment working. After implementing Zonar, we started seeing dramatic improvements in workflow coordination with more streamlined diagnostics and fewer downed vehicles in the daytime. The integration with our fleet maintenance system plays an integral part in helping our fleet operations save money while being more efficient and responsive to our clients.